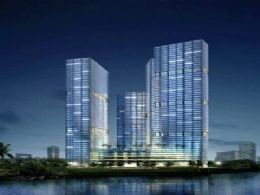 Although it may be smaller than some of the condominiums located throughout the area, the 25 story Grand Venetian has steadily gained a reputation for being an inviting, quiet and ideally situated building. Its enviable location is further enhanced by its sublime views of the city skyline, the pristine bay, and the perpetually fashionable city in which it regally stands. Besides the Grand Venetian’s around the clock security, concierge and valet, you’ll find a wealth of healthy activity conveniences like a fitness facility, tennis courts, and a glimmering swimming pool. You’ll also find a wonderful and alluringly relaxing sun deck area, perfect for obtaining that ideal Miami suntan. A barbecue area near the bay and storage facilities adds more appeal to the Grand Venetian. 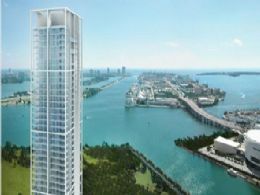 Grand Venetian residences come in one to four bedroom floor plans and feature floor to ceiling glass windows with splendid vistas, broadband Internet, and expansive balconies. Roomy walk-in closets in bedrooms offer plenty of space for the largest of wardrobes. Kitchens feature European cabinetry, stainless steel appliances and fixtures and plumbing by Kohler. Bathrooms come with deluxe imported marble flooring and soothing Jacuzzi tubs. The Grand Venetian is only minutes from Ocean Drive and Lincoln Road, Miami’s trendiest and hottest spots for the undisputed best in dining, shopping and entertainment. Just steps away you’ll find upscale clothing stores like Banana Republic and the always pleasing atmosphere of Starbucks. The popular Jackie Gleason Theater, purported to be the imminent home of Cirque du Soleil, is only a few blocks away and frequently features live musical events and performances.